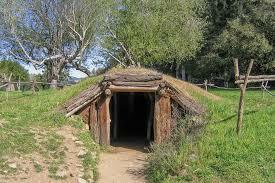 The primary destination for my birthday celebration was the Miwok Village, a replica of the kind of village lived in by the Coast Miwok people prior to the Spanish invasion. 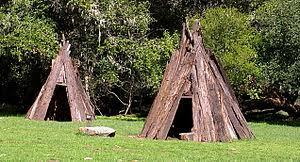 Named Kule Loklo, the structures are located about one-half mile from the Point Reyes Ranger Station. My first visit to the village was about 20 years ago. I sat there alone for about an hour and imagined what it would’ve been like to live there. Having read Malcolm Margolin’s The Ohlone Way expedited my visualization. I could easily imagine having lived there then. It would have been like camping out in the Garden of Eden. This time I visited with my sister and brother-in-law. 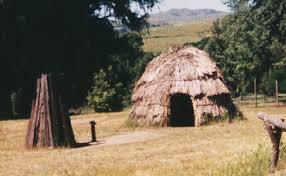 What struck me most is that the Coast Miwok liv ed there in the Bay Area much the same way for 8,000 years in villages that averaged 200 inhabitants. Imagine that. 8,000 years! They felt no need to migrate. 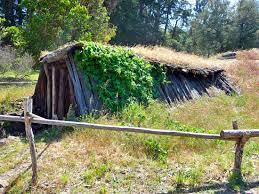 They felt no need to conquer other nearby indigenous ethnic groups, such as the Ohlone. Such an idea was probably foreign to them. They might not even have known how to rule and dominate. Presumably they felt no need to expand because they lived in Paradise. The fish were so plentiful the Spanish threw rocks into the water to kill them. And when startled, birds would fly off and would block the sun like an eclipse. 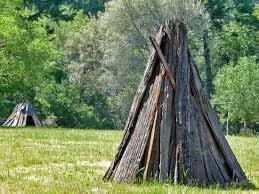 Some 50 tribes lived peacefully in the Bay Area, with only occasional internecine conflict. Originally from China, I assume they left China because it was too crowded, migrated here probably looking for warmer weather, and decided the Bay Area would suffice! No wonder. Acorns were their staple, the ocean was plentiful, and they did some hunting. Most times of the year, they wore little or no clothing. This visit I took note of the fact that several members of one extended family slept together in their small houses. That must have been cozy! Presumably they could have build more houses, but felt no need to do so. No isolated, suburban single-family homes there! I was also struck by the fact that there were very few visitors to the village. Though the nearby visitor center was very busy, we were at the village more than 30 minutes and had the space completely to ourselves. The village fascinates and mesmerizes me. It documents vividly how modern life is not natural and inspires me to seek some kind of return to our roots. But apparently few people share my interest. Alas. Each day throughout the world more than 8,000 children die needless, preventable deaths and millions of Americans suffer from severe social and economic injustice. That suffering is imposed by a self-perpetuating global social system. It’s like a monster drowning more babies than can be rescued. Only strong nation states can control that monster and transform the System. That transformation will require massive, unified grassroots movements within each nation. American individualism and materialism undermine that movement. Americans are becoming increasingly selfish, thanks in part to their addiction to screens. The desire to climb social ladders and look down on others drives the System. My decision not to get a professional degree was fateful. I wanted to avoid being elevated above others. I wanted to organize holistic, democratic communities. But I still had a college degree and others knew it. And I acted like an educated man. People often thought I was a lawyer. So my effort to be an ordinary man was only partly successful. My community organizing produced only occasional fruit. I squandered too much of my youth. In my old age, I hope to squander less. My resistance to traditional marriage left me with no children and no partner. My family has been the human family. My true love is truth, justice and beauty. But now that I’m retired, I often feel lonely at night. I rarely felt lonely before. TV offers virtual companionship and a chance to tap passion. But I’m trying to break that addiction. At night I prefer to meditate, listen to music, read, write. I’d like to socialize more, but I get tired of being the organizer. I wish more people reached out to me to get together. I feel like a low-energy wallflower. Most conversation quickly bores me. Most people just tell stories, pontificate, or gossip. I’d like to talk with my close friends the way I talk to my therapist. I’d like for them to respond to me the way my therapist responds. I’d like for them to talk to me the way I talk to my therapist. I’d like to respond to them the way my therapist responds to me. All we have to fear is fear itself. So, while remaining open to, and available for, authentic human encounter, I write. Then I’ll share it with others, initially people of color. Ideally others will collaborate to rewrite it. If not, I’ll pursue it myself. Get it out as widely as I can. I believe in what I have to say. I believe it’s important and rational. Hardly anyone has ever told me my thoughts are crazy. The main reaction has been lukewarm support. It’s just a question of how to spark more action, and what is realistic. Something dramatic must happen to help humanity evolve. When I finish that declaration, I’ll write something else. They say a writer is someone who must write. Even if the number of my readers declines. Even if I’m a majority of one. I am compelled to write. While remaining open to deep dialogue with fellow seekers. Waiting for that rebirth of wonder. Grateful for so much, my close friends, my home, my health, the Holy Spirit. I celebrate my birthday with joy in my heart. Reassured that my true love will always be by my side. The following essay, “A Thought for Bernie Sanders: Maybe He Should Join the Democratic Party?” is by Tom Gallagher, who’s chair of San Francisco Progressive Democrats of America, was a Sanders delegate to the Democratic National Convention, and is a past member of the Massachusetts House of Representatives. I’ll post subsequent exchanges with Tom in the comments section to this post. It’s not as if his record as the longest-serving independent in the history of the U.S. Congress (a status only interrupted during his run for the presidential nomination) hasn’t served him well, or anything like that. Clearly it’s been a significant contributor to the fact that even people who disagree with him regard him as a straight-shooter. No, so far as his own career goes, Sanders might just as well stay independent. It could well be the case, however, that the enthusiasm his campaign has injected into mainstream politics would be more effectively channeled if he made his plunge into party politics permanent. The question ultimately comes down to one of unity – and clarity of purpose. What would best unify the broad swath of activists and potential activists trying to develop a political force capable of breaking corporate dominance in American politics? And yet, isn’t that precisely what those committed to maintaining the status quo of big money hegemony in politics should assume—that the activists are going to stay and fight to end their control of both major parties? Their worst nightmare is not that we will pick up and leave if we don’t get what we want, but that we won’t leave! Why did Corbyn’s supporters stay and fight in a party where they were so clearly unwelcome? Because if they were serious about changing their country, there was nowhere else to go. Which is much the situation we face in regard to the Democratic Party here, where any smart big money guy has got to hope that the anti-corporate control types will get fed up with feeling unloved and leave the field to those who’ve been running the show. Any decision as to Sanders’s political status is obviously ultimately his to make, of course. Yet his oft-stated point, “It’s not about me, it’s us”—so central to his campaign—does suggest that the consideration is a legitimate matter for all of “us.” And one can’t help but wonder if Bernie Sanders couldn’t add a measure of clarity to the current situation. 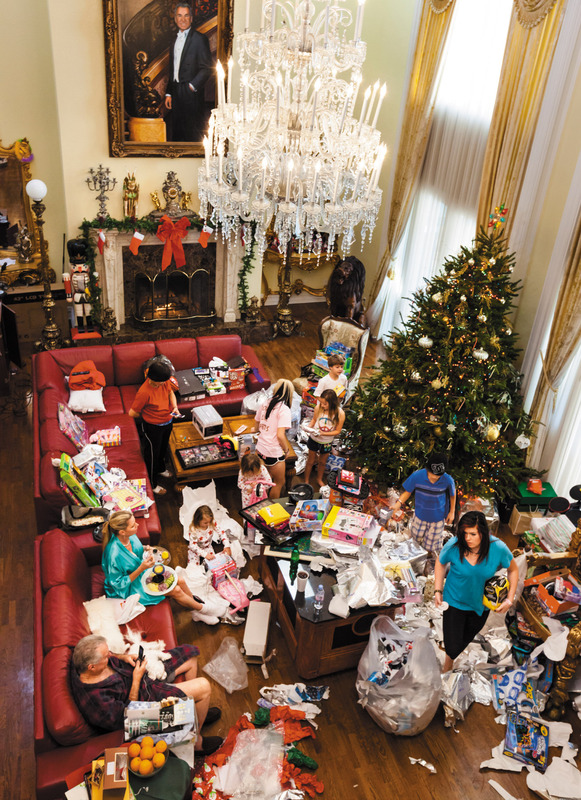 Consumerism did not begin in post-War America. Nor did it begin in the Renaissance, when most people dressed like their grandparents. set off an avalanche of products both new and newly cheap: clay pipes, white soap, knitted stockings, a dazzling array of fabrics, and eventually imported drug-foods such as tobacco, chocolate, and coffee. According to some historians, the taste for goods prompted many families into factory work. As of 2010, on average, residents of the thirty-four richest nations consumed over 220 pounds of stuff every day. In 1966 only 5 percent of German men changed their underpants every day. By 1986, 45 percent did. It isn’t until the end of his expansive book that the hopelessness of our current, consumer-driven predicament overshadows the story he has told…. If Empire of Things were a play, the stage would become in each scene ever more crowded with amiable consumers who have good intentions and better lives. In an explosive final act, though, they would blaze into spontaneous combustion fueled by their own excess—the unhappy place where we now find ourselves. People talk about trying to change society. All I know is that so long as people stay so concerned about protecting their status and protecting what they have, ain’t nothing going to be done. Every minute or hour, in ways we’re not even conscious of, we as individuals and members of our class are competing for dominance and respect. We seek to topple those who have higher standing than us and we seek to wall off those who are down below…. Every hour most of us, unconsciously or not, try to win subtle status points, earn cultural affirmation, develop our tastes, promote our lifestyles and advance our class. All of those microbehaviors open up social distances, which then, by the by, open up geographic and economic gaps. Bourdieu radicalizes, widens and deepens one’s view of inequality. His work suggests that the responses to it are going to have to be more profound, both on a personal level — resisting the competitive, ego-driven aspects of social networking and display — and on a national one. Dylan, Bourdieu, and Brooks are saying that “the problem” is not only “out there.” It is also “in here,” within each of us, deeply embedded by the dominant society. As such, it nurtures division and undermines community. None of the comments I saw on the Times site seemed to acknowledge that dilemma. Until we learn how to set aside those divisive tendencies and really respect one another, “ain’t nothing (to speak of) going to be done,” as Bob put it. 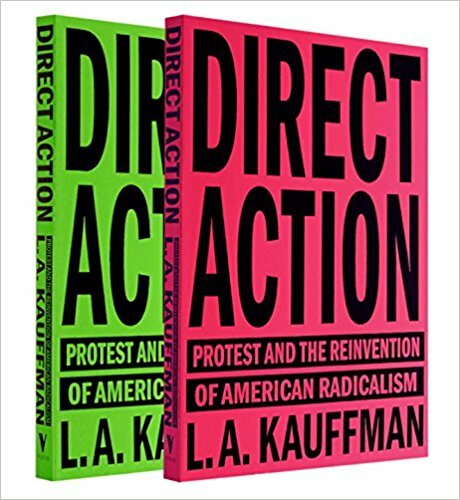 After I finish reading Direct Action: Protest and the Reinvention of American Radicalism by L.A. Kaufman, I’ll post a review of it in a week or so. Despite some differences of opinion with the author, I consider it a valuable book. If you read it between now and then, we could compare notes. One option would be for you to write your comments before reading mine. Then we could share independent reactions. Five of the six customer reviews on Amazon give it five stars. NPR also reviewed the book. Kauffman’s lively and elegant history is propelled by hundreds of candid interviews conducted over a span of decades. Direct Action showcases the voices of key players in an array of movements – environmentalist, anti-nuclear, anti-apartheid, feminist, LGBTQ, anti-globalization, racial-justice, anti-war, and more – across an era when American politics shifted to the right, and a constellation of decentralized issue- and identity-based movements supplanted the older ideal of a single, unified left. L.A. Kauffman has spent more than thirty years immersed in radical movements as a participant, strategist, journalist, and observer. She has been called a “virtuoso organizer” by journalist Scott Sherman for her role in saving community gardens and public libraries in New York City from development. Kauffman coordinated the grassroots mobilizing efforts for the huge protests against the Iraq war in 2003–04. Her writings on American radicalism and social movement history have been published in The Nation, n+1, The Baffler, and many other outlets. Consider checking it out. I look forward to evaluating it, hopefully with some of you. Ask questions. When you meet with friends, ask many questions, not just one or two polite ones. Be curious. Ask follow-up questions to deepen your understanding of how other people view themselves and the world. See what you can learn. Talk less and listen more. Watch screens less and connect with humans more. These simple questions work well: Why? Why not? How did you feel about that? What are you feeling? How might you achieve that goal? Can you tell me more? What’s been on your mind lately? Other options include: What’s your passion? What’s the purpose of your life? Why not ask questions like that and listen carefully to the answers? Improve your friendships by becoming a better listener. [Jesus] recognized with authentic realism that anyone who permits another to determine the quality of his inner life gives into the hands of the other the key to his destiny. If a man knows precisely what he can do to you or what epithet he can hurl against you in order to make you lose your temper, your equilibrium, then he can always keep you under subjection. Cruel words can trigger hurt feelings and anger. Individuals who speak those words need to be held accountable and we need to reduce their frequency. But a compassionate response avoids blaming only the speaker. Listeners share responsibility for their reactions, and social conditioning and other factors contribute as well. You have to think: Why did this happen? This person is not your enemy from birth…. You see that this person’s actions are due to their own destructive emotions. You can develop a sense of concern, compassion, even feel sorry for their pain and suffering. Words do not directly cause harm like a hammer causes pain when it hits my thumb. Cause and effect is a linear dynamic; emotions are immersed in a holistic system. Words contribute to hurt feelings, but how I process what others say is another factor. I am partly responsible for how I respond. I can learn how to react differently. So I no longer tell people, “You hurt me.” That phrase shifts all responsibility onto the speaker. It can be more constructive to say, “When you said X, I felt Y.” In that case, the focus is on a single action. That makes it easier to acknowledge a mistake and resolve not to repeat it, which can help heal the relationship. On the other hand, “You hurt me” focuses on the other. As such, it can be seen as a personal attack, a challenge to who you are at your core. That can make the exchange more heated and lead to a reciprocal, escalating blame game with each party accusing the other, which often degenerates into ad hominem name-calling. One result is personal fragility. People become less likely to speak honestly, because they’re afraid they will cause harm or be accused of causing harm. That fear gives power to people who are prone to charge, “You hurt me.” Those accusers can then try to manipulate the speaker with guilt trips. “You hurt me” is like charging a felony rather than an infraction. When “defendants” plead “not guilty” to that felony, “prosecutors” often punish, shun, or excommunicate them. As a result, former allies often splinter over disagreements about tactics. Faced with that harshly judgmental dynamic, many potential allies withdraw from social engagement and operate in a safer environment with a small circle of friends, which reinforces the splintering. America’s highly individualistic culture exaggerates the responsibility of individuals. But the primary problem is the System, which includes our institutions, our culture, and ourselves as individuals. A kind response to mean words takes into account that reality. I wish I were not so easily offended. I wish others were not so easily offended. I wish that like-minded people did not divide so easily into factions. After all, we need community, not fragmentation. Blaming individuals diverts energy away from organizing to change institutions and policies. More compassion and less blaming could help nurture a broad-based movement to transform the United States into a supportive community that would enable you, me, and everyone to be all we can be. 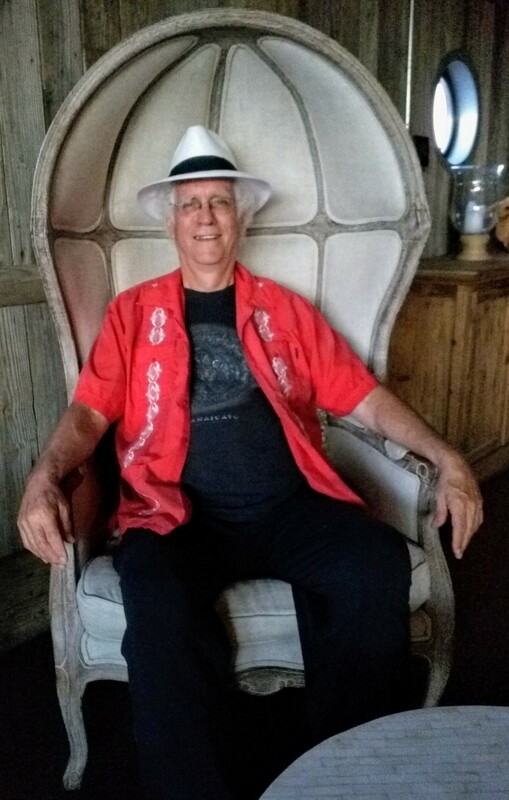 Back from the Blue Ridge Mountains and having completed a stressful four-day workshop and processed it, I’m enjoying my retirement, aiming to get in a groove. My primary goal is to reduce the amount of time I spend on passive activities — like watching television and streaming movies — and spend more time on active activities, like reading books, socializing, and making YouTube videos. For me, “relaxation” is not passive if I actively meditate while I relax — whether emptying my mind by focusing on my breath, or concentrating intently on one idea and considering it from multiple perspectives. Months ago I withdrew from spectator sports. For weeks, I haven’t watched TV news. I don’t miss either. So it seems I may be able to use my phone as a hotspot, get rid of cable, and save some money. I’ve also managed to withdraw from coffee and black tea. I’ll still use those drugs in “emergencies,” but now that I face no deadlines, I can just nap when I get sleepy. I find being caffeine-free leaves me feeling more grounded, more clear-headed, less frazzled, more confident that what I’m thinking and feeling is not drug-induced. Basically, I just don’t like addictions, which divert me from my true self. This week I aim to withdraw from chocolate (except for once a week! ), which has enough caffeine to serve as a stimulant. I also hope to stop watching movies at night. The pull of the recliner, large screen, stereo speakers, and an emotional charge from a dramatic movie are compelling. So we shall see if I break that habit as well and only watch movies on weekends. If I worked nine to five, I might feel more of a need to “escape.” But being retired, I think not. I believe that if I have the right attitude I can get into a routine that enables me to do what I really want to do. So I’m tracking how well I meet my Monday through Friday “bottom lines” — one hour for exercise and two hours each for writing, correspondence, reading books, reading news, and making movies. Weekends are for socializing, communing with Mother Nature, doing errands, and fun, like movies, massage, and music. Opportunities for socializing will no doubt disrupt that schedule from time to time! When I shared thoughts along those lines on Facebook, a few friends expressed concern that I might push myself too hard. But my life is precious and I want to use it fully to do all I can to relieve suffering, in the manner that calls me. Earlier in my life, I indulged fully in carnal pleasures and feel no guilt about it. But now I aim for more self-discipline and productivity. If I enjoy my work and it does not harm me, then maybe I am not a workaholic. I’m just pursuing a different form of pleasure! In the meantime, I’ll seek new platforms where I can share my writing. Michael Lerner recently accepted for the Tikkun magazine an essay I submitted to him, which is encouraging, but I’ve decided to submit it to Tikkun Daily instead. Many thanks to Dan for the suggestion and thanks to Dan, Mike, Sandi, and Mary for help with rewriting the essay. My next goal is to sum up my current thinking concerning personal, social, and political change in a manner that is both as brief as possible and substantial. For more than ten years, I’ve been exploring “how the progressive movement might be more effective” by using a holistic strategy. I’ve participated in numerous workshops related to that theme convened by others and initiated several myself. I’ve circulated SurveyMonkey questionnaires, interviewed my taxi passengers, posted many articles, and published a few booklets and two full-length books, Global Transformation: Strategy for Action (2007) and My Search for Deep Community (2014). The “deep community” I’m looking for would help its members remove their masks, go down to the ground of their being, feel connected with all humanity and Life itself, tap their profound reservoir of compassion, truly love themselves as they love others, consciously help one another become more fully who they really are, do what they can to correct the root causes of needless suffering (including destructive national policies), and help turn our nation into a caring community dedicated to the common good. Now I’d like to stand up in front of as large a crowd as possible, verbally make my case for what I believe, invite a panel of prominent people (who would help attract participants) to offer their feedback, and ask the audience to form small groups to formulate agreed-on written feedback. Lord knows I don’t have all the answers. But I may die soon, so I want to share my thinking as well and fully as I can before I do. 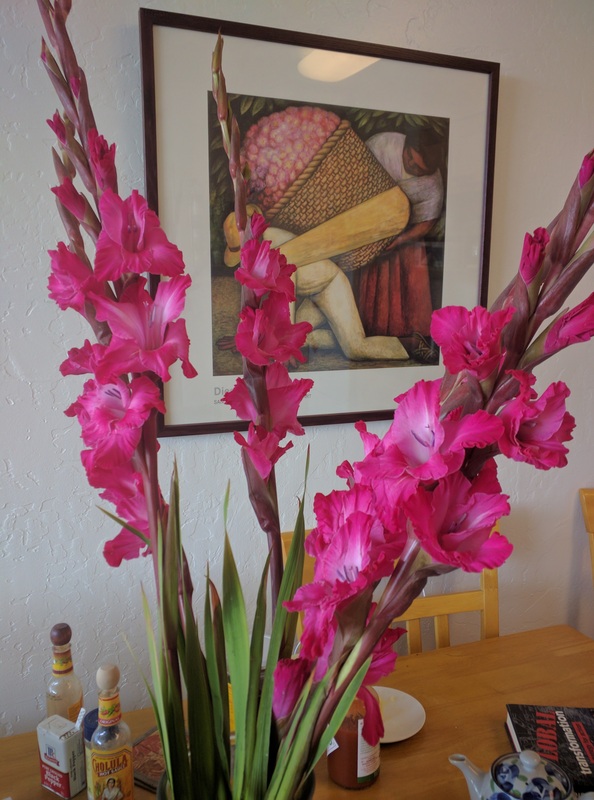 In the meantime, beginning with their July 23 Summer Picnic, I still look forward to getting more engaged with Thrive East Bay, which seems to be the kind of holistic community I’ve been seeking,. Retirement suits me quite nicely.